Pippi has a fully little habit of laying in or on Josh’s guitar case. Notice that she has forgone the pile of blankets and pillows for a slightly “higher” vantage point. Funny little Scottie. 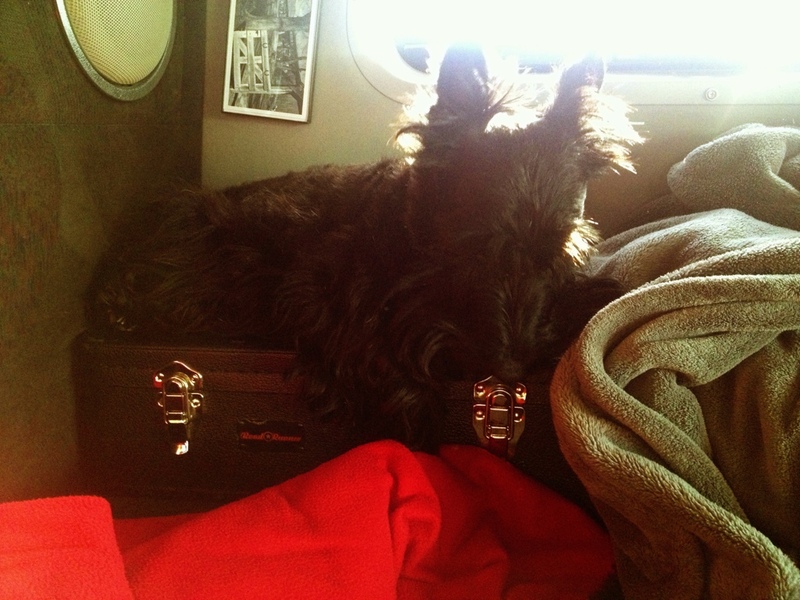 This entry was posted in dogs, Pippi and tagged Guitars, Pippi, Scottie, Scottie dog, Scottish terrier. Bookmark the permalink. It’s in the scottie rule book. What the scottie wants, belongs to the scottie.